SARIAYA, Quezon - Dedicated to protecting and making lives better for every Quezonian, a Medical-Dental and Optical Mission was organized by the Provincial Government of Quezon, Integrated Provincial Health Office, Quezon Medical Center in partnership with the Quezon’s First 1000 Days of Life program and Integrated Philippine Association of Optometrist Quezon Chapter to the residents of Barangay Concepcion Banahaw and other nearby Barangays in Sariaya, Quezon, January 14, 2019. 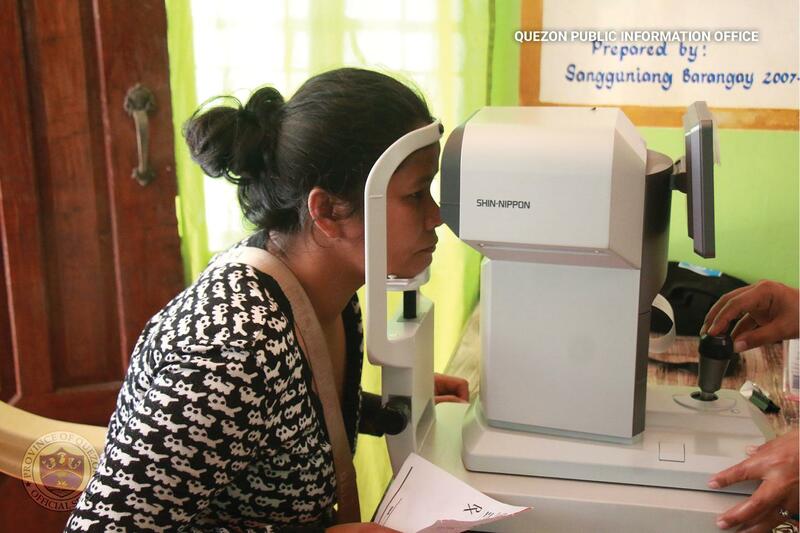 Breaking ground the New Year, the said activity catered nearly 500 residents who availed free medical and pediatric consultations, free dental services such as tooth extraction and oral prophylaxis, ultrasound and basic laboratory services and free eye check-up. Reading glasses and other medical supplies and medicines were also distributed to offer more holistic healthcare services to the families of Quezon province. The veracity and goodwill of the Provincial Government of Quezon headed by Gov. David C. Suarez to realize their mission to serve the community is fulfilled through this collaborative effort. Acknowledging their valuable assistance to the activity, Gov. David C. Suarez expressed gratitude to the Doctors who tirelessly give their time and effort to such public service. “Sa pamamagitan po ng ganitong mga programa at aktibidad naihahatid po namin ang mga serbisyo na nararapat para sa inyo. Kung hindi po kayo nakakapunta sa mga hospital natin dahil sa layo ng barangay ninyo, kami na po ang magdadala ng hospital at mga doctor sa inyo” said Gov. Suarez. Alona Partylist representative Congw. Anna V. Suarez and other barangay officials were also present in support of the event. Barangay Concepcion Banahaw is the fourth Barangay to be catered by the team in Sariaya, Quezon. Another round of medical-dental and optical mission is set by the end of January 2019.